When it comes to first time home buyers, one of the least understood components of a home seems to be plumbing vents. You know, those pipes sticking up out of the roof that run through the attic and through the rest of the house. All plumbing fixtures, with the possible exception of floor drains, require a plumbing vent. 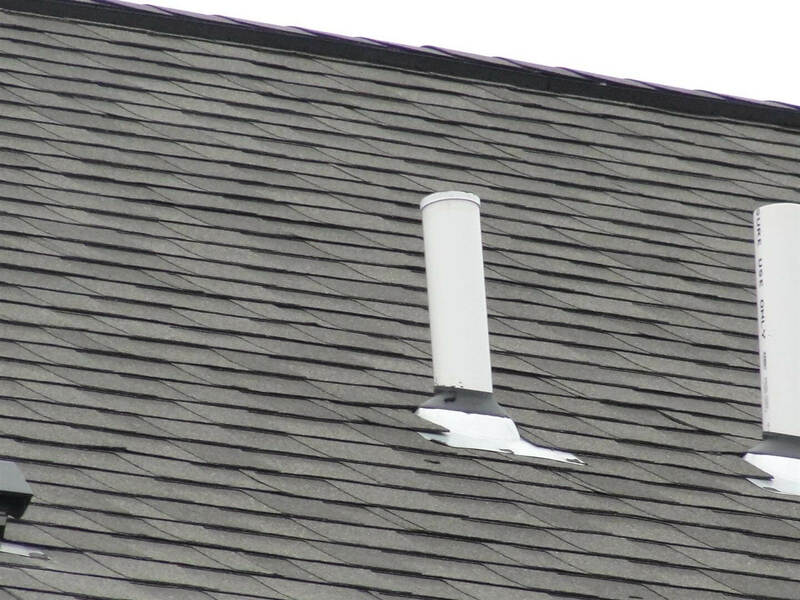 Vents are frequently connected together inside the attic, which allows for less penetrations in the roof. Plumbing vents prevent traps from being siphoned. Let me repeat that - plumbing vents prevent traps from being siphoned. They also prevent back-pressure on traps, but today the focus is on siphoning. You may have heard that plumbing fixtures will drain faster when they're vented properly, and I know I've said this myself, but that's not the purpose of vents. The common, improper analogy is to talk about dumping a soda bottle upside down. You watch the water glug out while air replaces it, and this makes it drain super slow. Once you put a hole in the other side, the water drains out very quickly. This analogy doesn't hold water because the top side of every plumbing fixture is wide open. The top of a toilet is open. The top of a sink is open. The top of a bath tub is open. If you wanted to re-create the soda bottle analogy, you would need to block off the top of the plumbing fixture and then try to drain the water out. I can't think of any instance where this could possibly happen. Every plumbing fixture has a trap, which prevents sewer gas from coming in to the home. When a lot of water drains through a plumbing fixture, it can be enough water to create a siphon effect, which has the potential to pull water right out of the plumbing trap. In my blog about S-traps, I included a quick video clip of an unvented drain having water siphoned out of it, leaving the trap with far less water than it should have had. Here's that same clip again. While writing that post about S-traps, I even set up a home experiment where I was able to get almost all of the water in a trap siphoned out. This is the same way it works in a house. When water is siphoned, it typically makes an annoying 'sucking' sound. To demonstrate this, I cut apart the vent on my own kitchen sink and blocked it off, just to show what a difference a vent will make. To really appreciate the difference, turn up the volume while watching this. For the record, the water actually drained out of my sink about 8 seconds faster with the vent blocked, because the water was being pulled (or siphoned) through the drain. When water is siphoned through the drain, the water in the trap gets siphoned. This can lead to sewer gas coming in to the home. In short, plumbing vents are there to help prevent sewer gas from coming in to the home. Well, Bubs, I mean Reubs, I suggested this before I read it. Reading it and watching was very fun too! Isn't that classic section of accordion drain line intended to scrub the sewer gases so they don't come up and into the house after the siphon? Yeah, I think that's it. And why not the soda bottle analogy?! These are two really good video's. Thanks for sharing them with those who know nothing on how a home's plumbing works. Have a great day in Minneapolis. Thanks Jay! I have given the soda bottle analogy about six thousand times, but I just realized the other day that this doesn't apply to houses. The problem with the soda bottle analogy is that with a soda bottle, you don't have any air coming in to replace the fluid as it drains. Glug glug glug. With a house, the open side of the plumbing fixture is like having a soda bottle with a huge opening on the side opposite of the drain. All the vent really does is break the siphon or prevent backpressure. It doesn't help anything drain faster. I might have to make a few more videos to prove this :-). When the drain on a house 'glugs', you're hearing air get sucked through the trap; not air replacing liquid. Thank you, Clint! I plan to use this post as a reference for several more posts on problems with plumbing vents, and annoying noises made by drains. Reuben, nice job explaning the way a plumbing vent works and why they are necessary. Thank you for the information. I will bookmark this and share it with others. Reuben, learned a lot about plumbing vents today. The videos bring it all together. Thanks. Reuben, thanks for the videos - they really help to make the point! Had one ranch home with a slow moving plumbing and it was butternuts, a vent stack plum full of them from busy squirrels getting ready for winter. Active Rain is such a cool place! You never know what you are going to learn and this blog was very interesting. Who knew sewer gas leak prevention could be so fascinating? I knew that vents were needed, but never understood the reason. Great post and videos. I wonder if that's the sucking sound, that Ross Perot referred to many years ago. Always good to know about plumbing issues. Plumbing is something I know very little about so these videos were great. Thanks for posting them! I didn't know that. The things you find out on the way to learning other things. Great info on vents. Question: Since toilets have an s trap built in them, they not require a p-trap below the flange (correct). This is why you get the sewer gas smell when replacing or installing a toilet because there is no p trap to block gas. I have come across several toilets that do have p traps below the flange. Will this make them more likely to clog and should they be removed? I have a friend who bought a sink/facuet from IKEA in Charlotte. The drain in the sink broke after a few months. The overflow is intergrated into the sink so they replaced it with a drain without an overflow. However, now the sink drains very slow. I guess the old drain had some venting in the design. Do you have any suggestions on how to fix this issue? Hi Reuben,,,thanks..great post..I finally understand the purpose now...tks fro sharing with us. Reuben -- when even the people who do this regularly get it mixed up, it is great to see someone in the field who is willing to get to the bottom and illustrate the correct dynamics of the situation. Thanks Reuben! I had one failed attempt at plumbing a bathroom sink. New drywall in the ceiling below it....I now leave it to the pros! Rueben, it's a good idea to learn something new everyday - and frankly, had my buyer asked me this question, I did not have the answer - until now! Great comment Reuben and thanks for doing that inspection on this listing I sold. Nicely done Reuben. For everyone's information, besides standard venting, we also see a lot of Air Admittance Valves (AAVs) down here in South Florida, especially in newer homes. 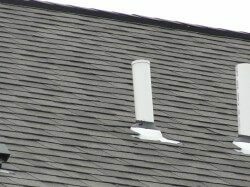 These are especially useful when there is no nearby vent stack to tie into or you want to avoid penetrating the roof decking by terminating the vent piping in the attic with an AAV. Also, AAVs are often found in remodels. Inquisitive buyers sometimes ask about them and some sellers don't know they have them. Best to have an answer when asked. Fred, Gita, Ray Michael, & Brian - thanks for reading! Andrew - ha! Stinky nuts. Anthony - that's gotta be it. Chip - P-traps below toilets? Yes, I would definitely recommend removing those traps. As you say, they'll make the toilets much more prone to clogs. As for your friends with an IKEA sink, my best guess is that the new drain wasn't installed properly. I've never seen a sink with venting built in to it. Ben - thanks for calling us! Jim - I see those AAVs everyone one in a while here in MN as well, but they're not allowed by the MN State Plumbing Code. The next time I read a blog, I hope that it does not fail me just as much as this particular one. I mean, I know it was my choice to read, nonetheless I actually believed you would probably have something useful to talk about. All I hear is a bunch of whining about something you could fix if you were not too busy looking for attention. well, anyway leave it try to make good stuff. You can contact me via iMessage For PC.